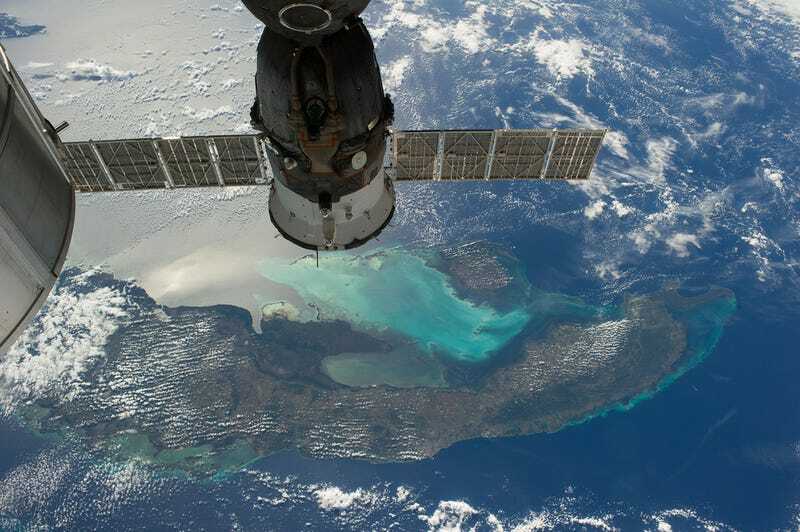 Cuba as seen from the International Space Station with a docked Soyuz craft in the foreground. The top of the photo is south if you're trying to orient the picture. Image from NASA via Flickr.